For obvious reasons i don’t play YouTube videos on my android phone, until and unless my phone is connected to a WiFi hotspot. Playing YouTube videos are not just consumes a lot of data, on the same time it even drains your phone’s battery faster. If you are on a limited data plan then you have every reason to avoid viewing YouTube videos on your android phone. But if you use YouTube to listen to musicvideos, i have found out an amazing android app which will let you listen to any music video from YouTube without downloading the video.Among the latest developments, YouTube now houses one of the largest collection of music videos and as we all know YouTube has lot of internet bandwidth to be harnessed. which is why , if you have an fast enough internet connection, you won’t ever has to wait for YouTube videos to buffer. uListen is an free Android app which can be used for listening to YouTube videos on your Android phone. The android app only streaming the audio from YouTubevideos without downloading the video, which in turn helps to save your precious internet bandwidth. This is just what we need on our Android devices. 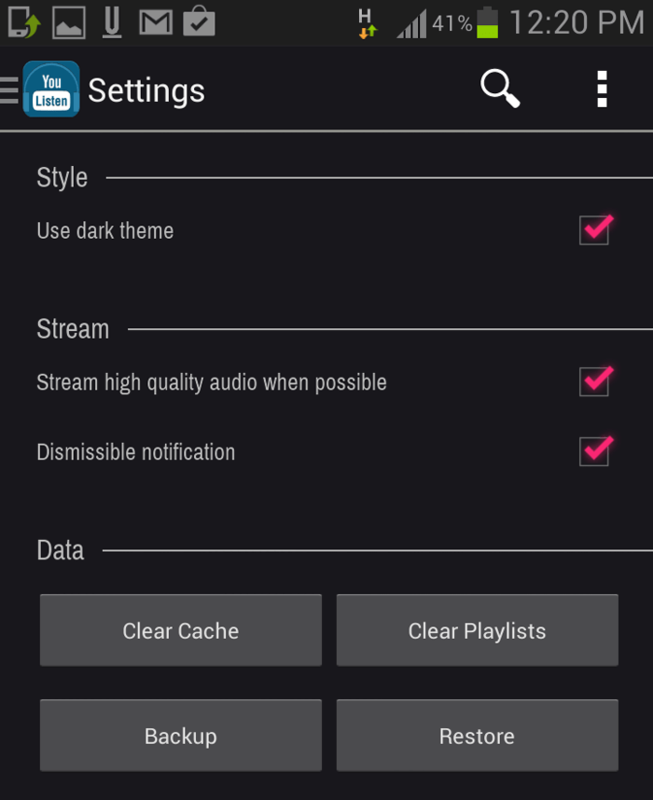 Further the android app is able to stream any music video and play it in your phone’s background and you even have the option to choose from high quality or low quality audio streaming. Follow the instructions below to use the uListen app. Step 1: Download the uListen app on your Android phone. Step 2: When you open the app you can either choose to search from youtube videos or playlists. Tap on the icon next to the search icon to choose from youtube videos or playlists. Step 2: Now enter any music video’s name you want to listen to and tap on the search icon. 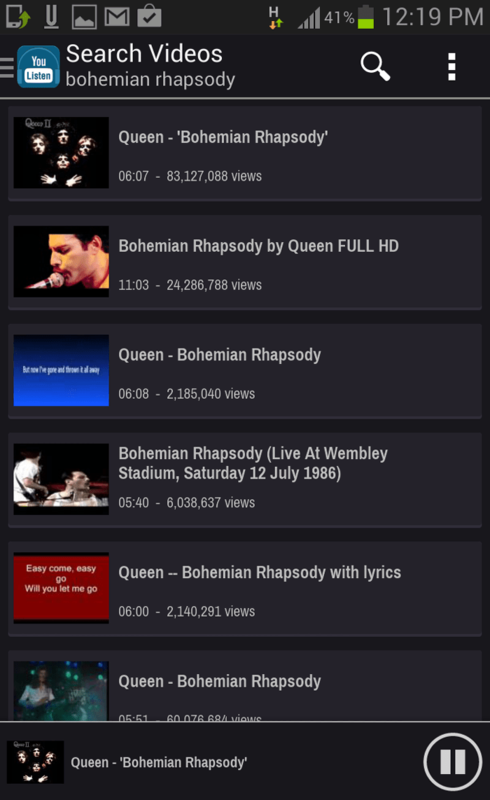 Step 3: Tap on any of the music videos provided in the search results to listen to the music video. Step 4: If you want to switch to High quality or Low quality audio streaming, Tap on the Ulisten logo to slide out the options and tap on settings. Now you can select or deselect Stream high quality audio when possible to switch from high or low quality audio streaming. With uListen you can anytime listen to music videos from your android phone and at the same time you will be saving a lot of bandwidth. Try out the app and let us know whats your opinion on this.